There are some brands that we just ‘get’. Levi’s is one. Ever since the Nick Kamen Strip was emblazoned on my adolescent brain, Levi’s has been a champion of individuality. It has sung about regular people in regular clothes doing exceptional things, and it has made us think about what is possible for those who dare. It’s natural that the quintessential American jean would explore the American dream. And despite veering off the road and having a few creative misses, it dusts itself off and gets back on track. However crass they may seem now, these ads gave Levi’s iconic status and captured our imaginations with their rebellious tone and courageous spirit. Levi’s made its mark on the new millennium by smashing its way in with ‘Odyssey’. Featuring the tagline, ‘Freedom to move’, the ad portrays a personal journey, showing life as a challenge to be attacked head-on. 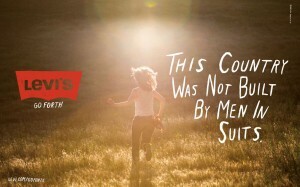 The tagline ‘Live Unbuttoned’ in 2008 revived the brand’s tradition of exploring states of undress, but more importantly, the sense of ‘carpe diem’ remained. 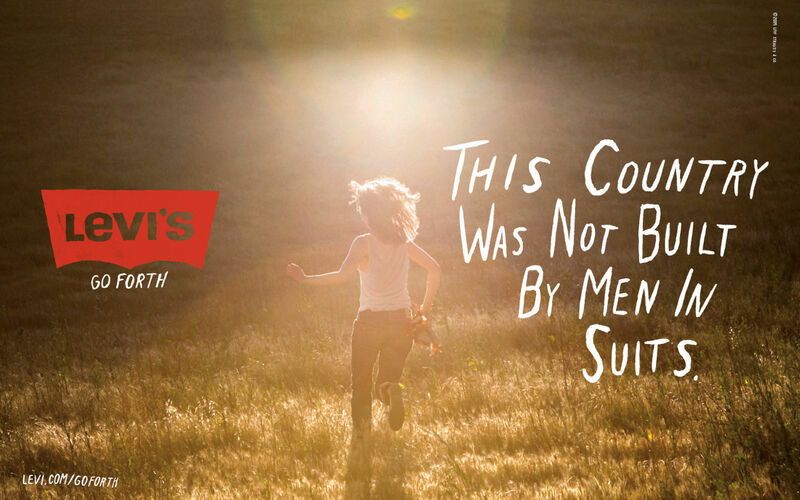 The ‘Go Forth’ ads speak with an honest voice. They celebrate people from all walks of life, as they pull on their jeans, grab the bull by the horns and set off to win personal victories. 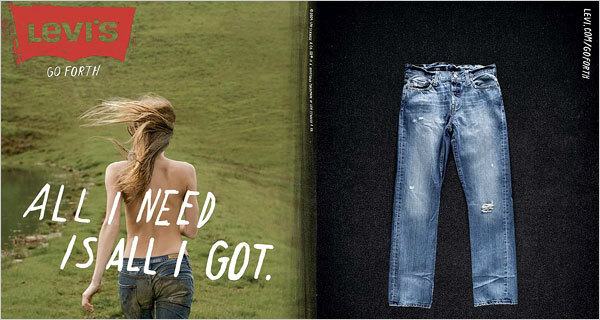 In its own words this time, Levi’s waxes lyrical about the free-and-easy confidence that jeans can give you. “It’s the thread in your seams that’s tied to your dreams” lends some poetry to the sentiment ‘anybody can be somebody; go and live your dream’. 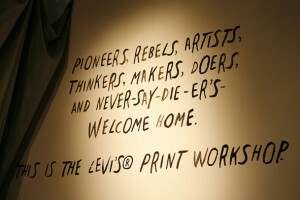 Over the past year, Levi’s has sewn self-expression into its brand fabric through workshops and community projects. Photo workshop in New York, Print workshop in San Francisco, and Film workshop in Los Angeles invited local artists, pioneers, designers and non-profit groups to come together to work and to create. This grassroots activity encourages us to roll up our sleeves and make our mark on the world. Levi’s has moved off its dusty highway to wander down alleyways and talk to local people. The white pants, the highly-charged sexuality and the amusing twists have been folded away in a drawer for now. But the spirit remains. It’s still about carving out your own future and it’s still about daring to be free. It feels authentically Levi’s. And that’s why we haven’t lost the thread.